Logitech presented a portable speaker Logitech X100 which is characterized by great sound and easy portability, and its design suits people who lead an active lifestyle. Round shape and small size, portable speaker Logitech X100 delivers crystal clear sound for its size. Logitech X100 portable speaker connects to devices using Bluetooth, and in addition it has a battery that lasts up to five hours and a built-in microphone for uninterrupted calls. 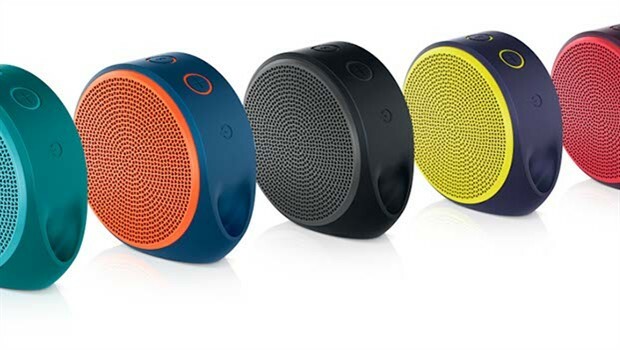 Portable Speaker Logitech X100 is available in five different colors to highlight its interesting design, from gray to yellow, orange, red and green. In addition, the speaker has a suitable micro USB cable which provides fast charging so that you can use it in all your daily adventures. SOUND: Crystal clear sound. Pump up the volume and enjoy! CONNECTIVITY: Bluetooth - Wirelessly connect, stream music, manage phone calls and control volume. DESIGN: In five bold colors, this unique design is sure to turn some heads. BATTERY: Enjoy 5 hours of continuous play without recharging. Summary : Logitech x100 portable speaker is a great gadget for people who like to travel a lot. It's intended for active people with active lifestyle. All in all it's a great gadget!